Complete listings of finalists and semi-finalists in The American Prize competitions may be found on our blog. The Chamber Music Performance competition was first held in 2014. The Atlanta Chamber Players, a mixed ensemble of strings, winds and piano, were founded in 1976 and are now planning their 39th Season. ACP has performed in 250+ cities throughout the US, Europe and Mexico and reached millions worldwide through live international radio broadcasts. The ACP’s broad repertoire includes traditional masterpieces as well as contemporary classics. ACP also has a long-standing commitment to perform the music of living American composers, premiering almost 125 works to Atlanta audiences, including commissions from Michael Gandolfi, David Amram, Anne LeBaron, Adam Schoenberg, and three works from Pulitzer-Prize-winner John Harbison. To promote new chamber compositions for mixed ensemble, ACP launched “Rapido! A 14-day Composition Contest” in 2009. Rapido has expanded to all 50 states coast to coast, leading to the creation of 1000+ new works by composers of all ages and resulting in premiere performances in Atlanta, Boston, Chicago, Dallas and San Francisco. Among judge's comments: "Performances of contemporary pieces are particularly colorful and free; this stands as a wonderful complement to an equally superb ability to interpret musical styles within tonal common-practice music." Musicians from soundSCAPE is a flexible ensemble comprised of performers from the festival faculty. Soprano Tony Arnold is a first-prize laureate of the Gaudeamus International Competition (NL). Since winning the Classical Fellowship Award from the American Pianists Association, Thomas Rosenkranz has pursued an active performance career on four continents. Percussionist Aiyun Huang was the first-prize and Audience Award winner at the 2002 Geneva International Competition. The soundSCAPE festival facilitates the flowering of new music and the exchange of ideas and culture between musicians of tomorrow's generation. Each summer in idyllic Maccagno, Italy, the festival attracts composers and performers from around the world for two weeks of concerts, lectures, master classes and workshops. The essence of the festival is process and collaboration - soundSCAPE has been the starting point for new music initiatives that have flourished long beyond the festival, all around the globe. soundSCAPE is directed by Nathanael May. 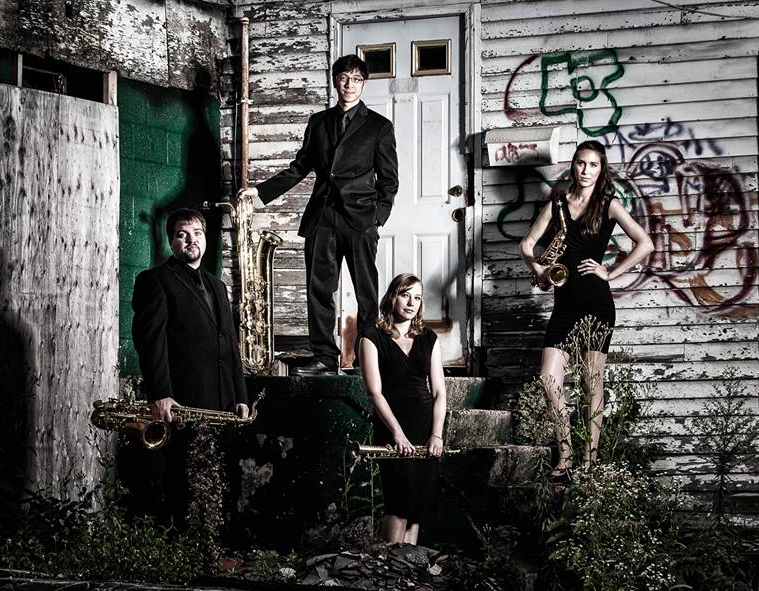 La'Ventus Saxophone Quartet was formed in 2012 in Hartford, Connecticut. 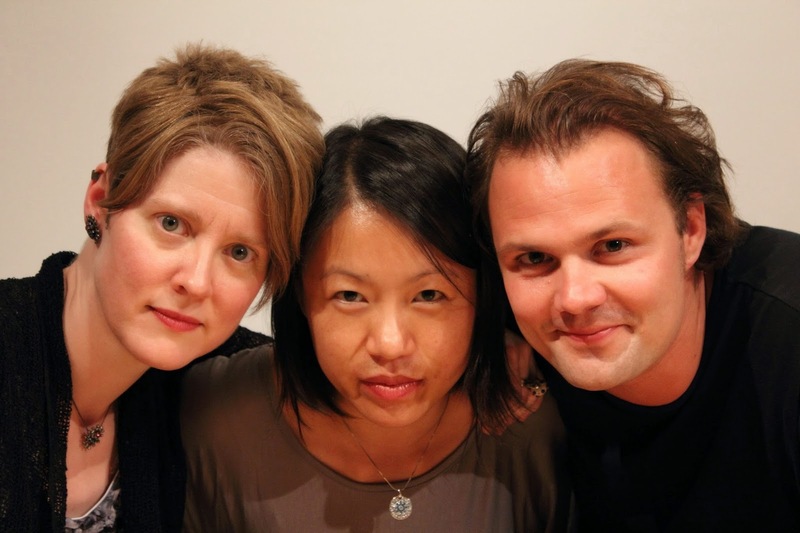 Alyssa Hoffert (soprano), Lauren Wasynczuk (alto), Ben Carraher (tenor) and Li-Chun Hsiao (baritone), met at the Hartt School having come from different parts of the country and the world. The name, La'Ventus, derives from the Latin words "Latus," meaning "side" and "Ventus," meaning "wind." La'Ventus Quartet, therefore, means "Wind from four sides." La'Ventus is dedicated to combining classical, contemporary, standard, and new music to create a unique sound and a fresh perspective with the versatility and flexibility inherent in a saxophone quartet. 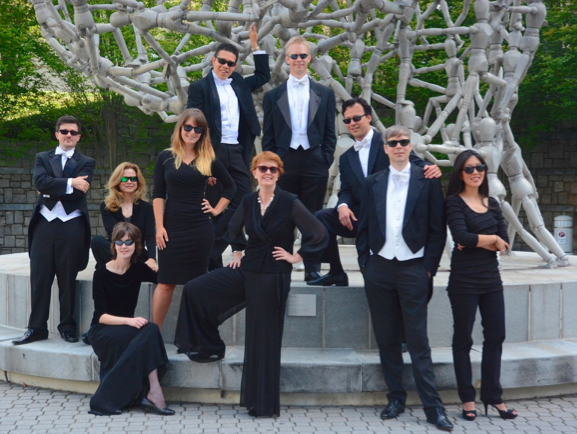 In addition to performing throughout Connecticut, La’Ventus has presented performances throughout the United States and Italy. As an ensemble, they are committed to the advancement of saxophone quartet repertoire and have commissioned and premiered new works by composers including Matthew Kennedy, Daniel Morel, and Thomas Schuttenhelm.